T H E • N A T U R A L • W E L L B E I N G • C O M P A N Y is passionate about helping others FEEL GOOD AND LOOK GOOD. Through our incredible range of health and wellbeing products made from 100% stabilised inner leaf Aloe Vera ??? ?gel, as well as Beehive ???? produce, we help you to feel amazing ???????? on the inside and out! 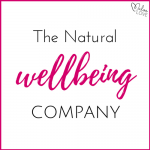 Working under the umbrella of one of the largest family run Companies in the world, founded in 1978 and now trading in 162 countries, The Natural Wellbeing Company has been in business since Jan 2015. Forever Living Products do not use pesticides or herbicides, or artificial additives, preservatives or colourings. The products are researched and supported by Dr’s, Vets, Nutritionists, Beauticians, Sports Professionals, and Mums (as well as many others!). Suitable for all the family, and animals alike, aloe is well known for its incredible benefits to health, inside and out! With products approved by The International Aloe Science Council, PETA (against animal testing), The Islamic Society and certified as Halal, Kosher, and Paraben and Gluten Free there really is something for everyone! ???????? Please drop me a message anytime if you would like to know more about what aloe can do for you ??? ?